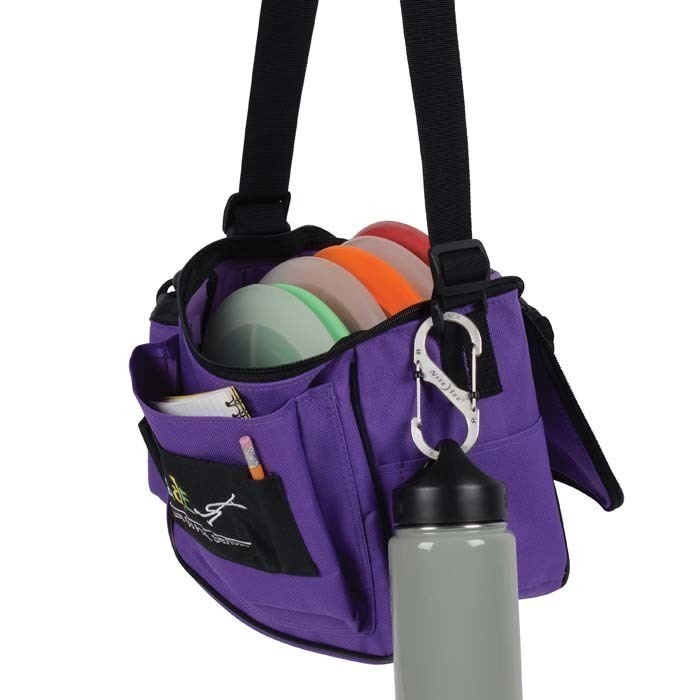 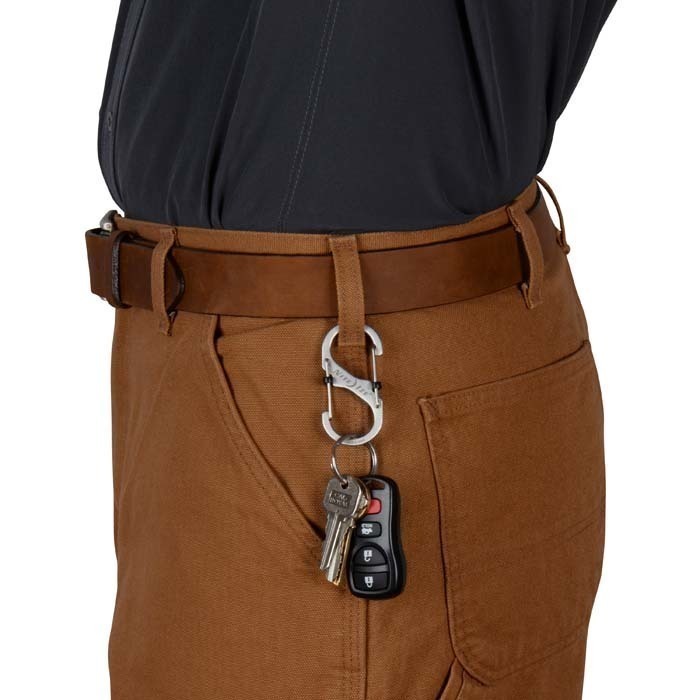 Organize, connect, carry, and keep your valuables extra secure with the S-Biner SlideLock Double-Gated Carabiner. Made of high quality stainless steel, the S-Biner SlideLock features two simple, innovative plastic sliders that slide into place to keep the gates securely closed. Each gate can be locked independently for convenient access. 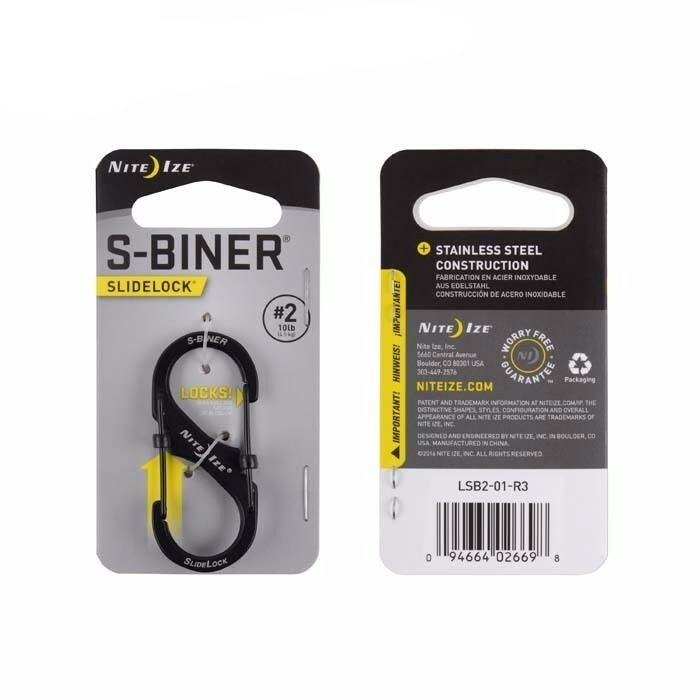 The S-Biner gates will stay firmly locked until you choose to unlock them, allowing for simple and secure linking , attaching, and carrying. 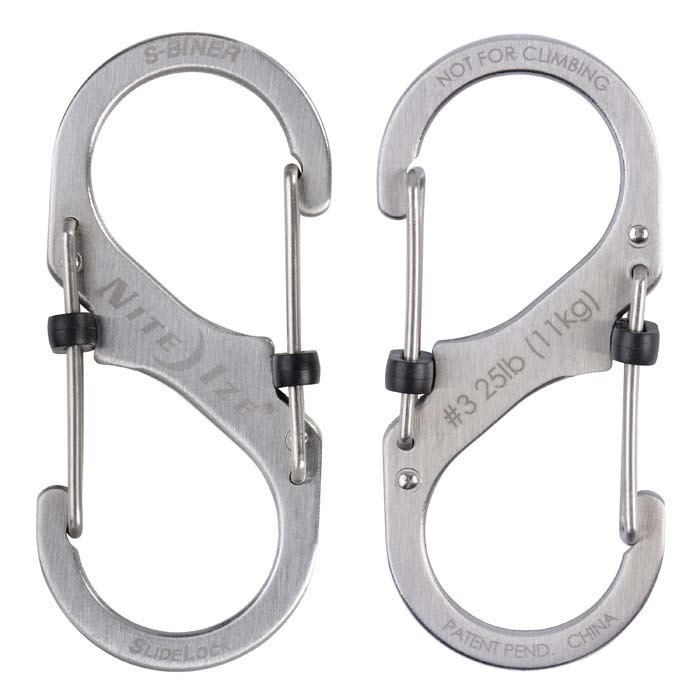 Our S-Biner SlideLocks are available in three sizes (#2, #3, and #4) for small-to-larger tasks.